December 7, 2018, “An Inside Look at Russia,” Council on Foreign Relations. October 16, 2018, “Beyond the Kremlin” panel at The New School with Vladimir Kara-Murza, Russian opposition activist, and David Remnick, editor of The New Yorker. July 20, 2018, “Cold War Redux” panel at Aspen Security Forum with Julia Ioffe, GQ Correspondent, Victoria Nuland, Former Assistant Secretary of State for European and Eurasian Affairs, and Andrew Wiess, Former National Security Director of Russian, Ukrainian, and Eurasian Affairs, now at Carnegie Endowment of International Peace. May 11, 2016, Hollywood and the New Cold, a symposium I was running at The New School in spring 2016 for the 25th anniversary of the end of the first, real, Cold War. Concluding panel on Russia as the best enemy there is with the great Todd Gitlin of Columbia and the wonderful Eliot Borenstein of NYU. March 20, 2016, speaking about Russia, Syria and the Middle East at the World Media Congress in Doha organized by the Vienna-based International Press Institute and Al Jazeera. October 26, 2015, Putin’s Crimean gamble: Russia, Ukraine, and the new Cold War at Brookings Institution, discussing legendary Marvin Kalb‘s new book Imperial Gamble with Thomas Friedman of The New York Times. 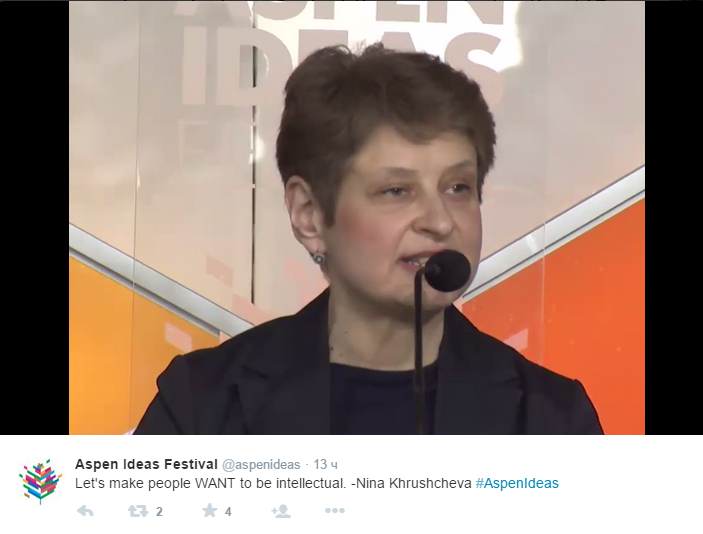 June 28-July 4, 2015, Aspen Ideas Festival. What a performance, event, spectacle, conversation! It was absolutely unbelievable to be there, to be invited to speak, moreover to be a part of the opening with a Big Idea. My idea was not big–in America intellectualism should be a virtue, not a handicap–but it was funny. Feb 26, 2015, New School’s India China Institute very fun panel, Asia and Dissent in a Time of Strongman Leaders. 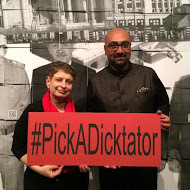 Feb 18, 2015, in conjunction with the Romancing True Power: D20 exhibition (Parsons at The New School) a fascinating conversation about the strong men of politics with the incomparable Bobby Ghosh of Quartz magazine and CNN. Dec 8, 2014 at The New School with the incredible Peter Baker of The NYT: Fifty Years of (Cold) War and Peace–Vladimir Putin’s Russia and US Foreign Policy. Oct 13, 2014 for the 50th Anniversary of Nikita Khrushchev’s ousting from the Kremlin discussing my book The Lost Khrushchev with Jeffrey Sachs at Columbia University. At the National Book Festival on Aug 30, 2014 The Lost Khrushchev book talk recorded on C-Span. The night before I was speaking at the Library of Congress in front of all these amazing authors of the Festival, yes! 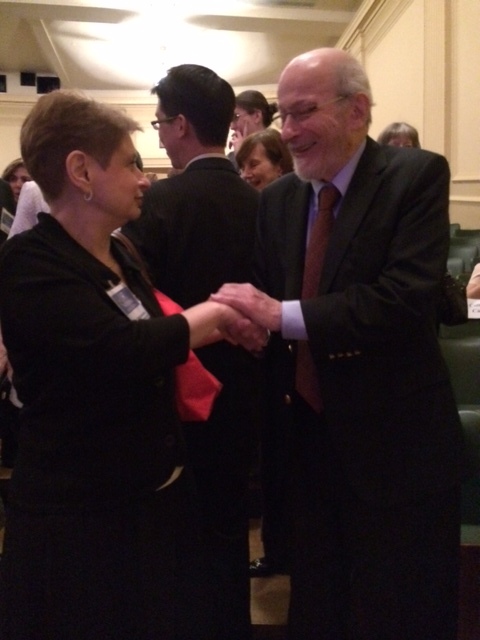 sharing the podium with E.L. Doctorow of Ragtime and other great books. It was so completely surreal to stand next to this giant of American letters. July 2, 2014 on Putin’s New World Order at the Hammer Museum of UCLA. With Ian Masters of Background Briefing from Radio Pacifica and Professor Robert English, whom I knew when he was a grad student at Princeton University and I was still living in Moscow. We disagreed on Putin a bit, but with all the people I disagree on Putin, Robert’s was the most polite and interesting disagreement. Presentation (as The Colbert Report) of the New York Minute at the New School University Alumni Day, May 11, 2013. 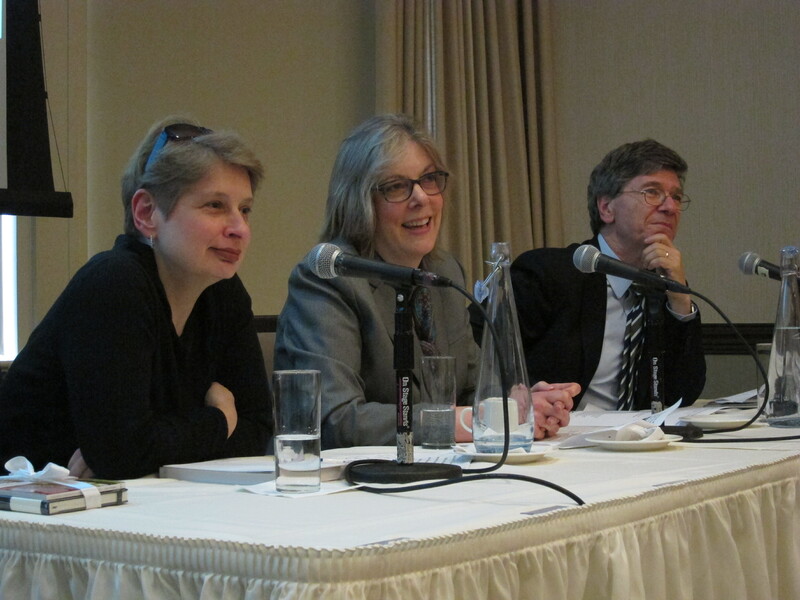 Presentation on my book The Lost Khrushchev at New School University, Feb 8, 2013. Panel 50 Years Later: Re-examining the Cuban Missile Crisis, Columbia University, Oct 24, 2012.